Drake, Dad, and Shane on McKenzie Pass, Mt. Washington in the back. 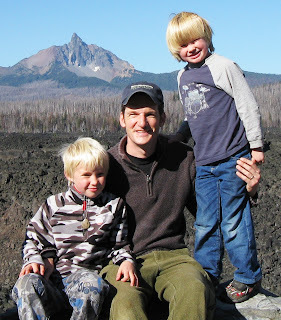 The boys and I set out to investigate the McKenzie Pass area above Sisters, Oregon. We started the journey from Sisters and headed up The McKenzie-Santiam Pass Scenic Byway. 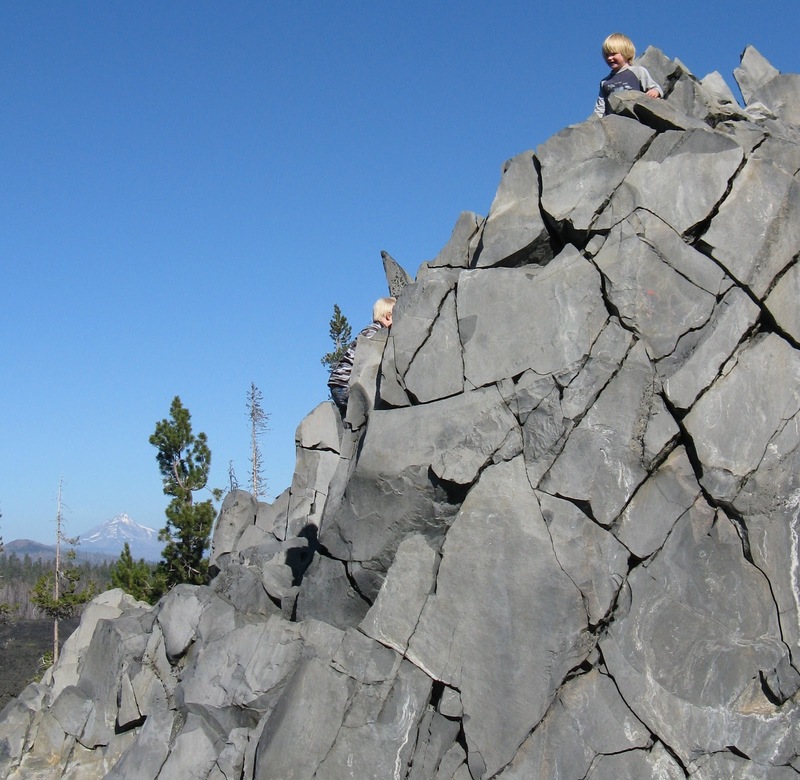 There are lottsa fun things to discover in this area for kids from mountain peaks to extended lava flows to caves, waterfalls, and more. A hardy day trip can easily include the three sites listed here. 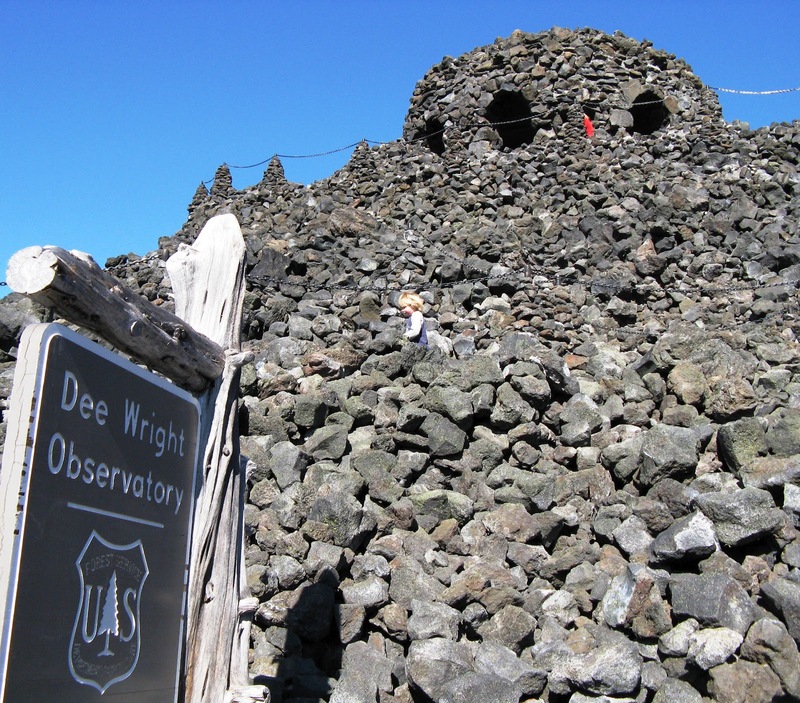 Keep in mind that the McKenzie Pass is NOT plowed in the winter. It is closed and inaccessible from November to July due to heavy snow. 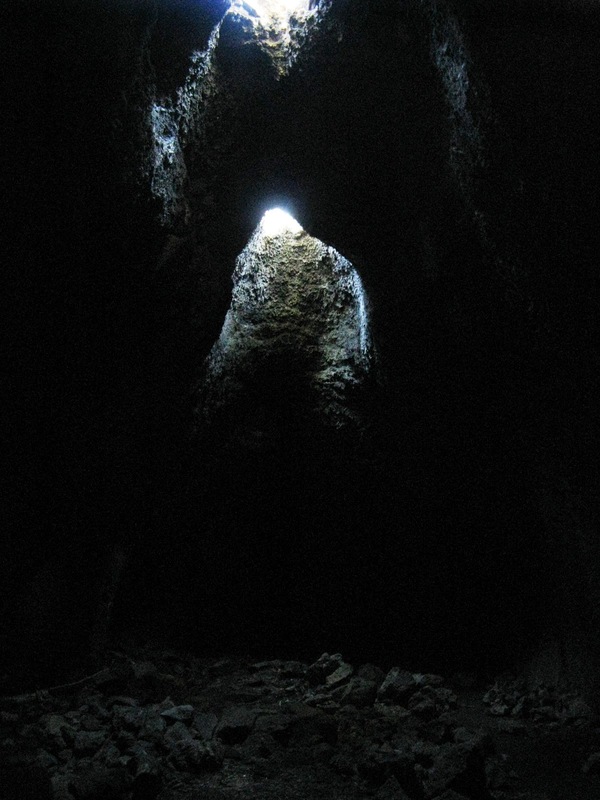 You need to look hard (and know where you are going), but before the grade really starts to kick in, you will find Skylight Cave (directions are below). 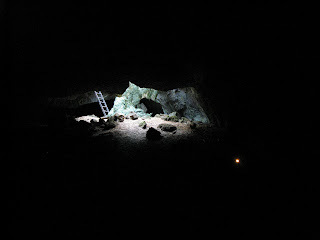 This cave is very easy to access and great for little kids. 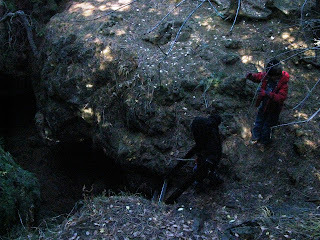 The boys beginning their descent on the ladder into the cave. 266; the cave is near this road. 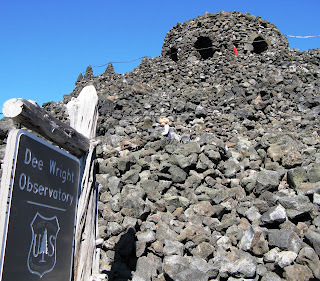 Climbing up the pass we reached Dee Wright Observatory. The observatory is very cool for kids to explore. The 'windows' are all gaps in the rock that are perfectly aligned to offering viewing of the Cascade Mountains that surround you. 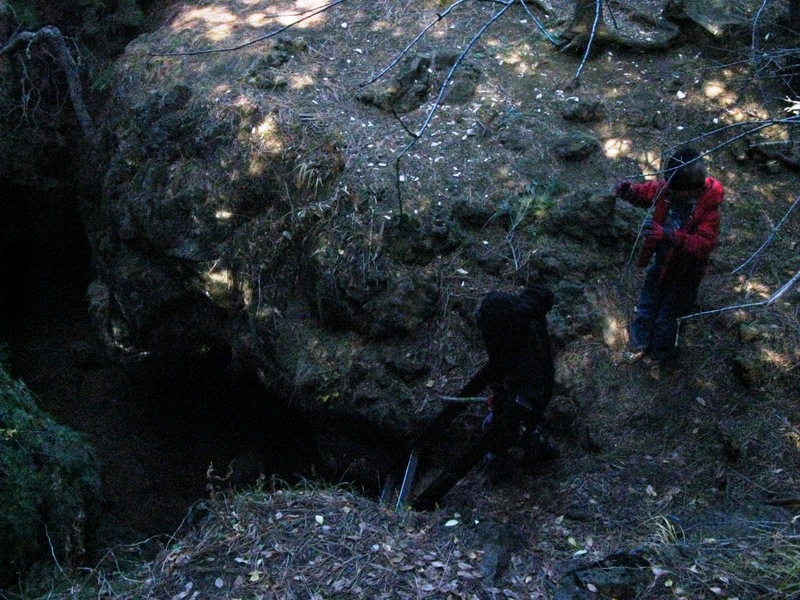 Drake & Shane investigate the rocks while Mt. Jefferson looms in the distance. Climb over the pass a few miles and you drop down into the wet side of the Cascades. A short flat hike from the highway brings you to Proxy Falls. 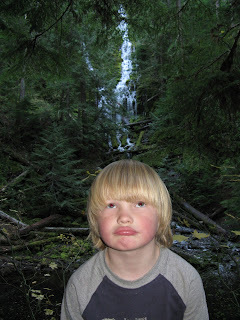 The falls drop over 200 feet in a beautiful cascade over mossy rocks. The kids were very impressed.